BusinessBid allows you to easily create and manage events from a single dashboard. Receive bids, communicate and negotiate with suppliers in one place. Save time collecting and organizing event details, creating comparisons and audits. Let BusinessBid do it for you so you can spend your time where it matters. Managing your company’s purchase requisitions via email or paper is a hassle as it is difficult to track the process. With BusinessBid’s requisition management tool, buyers stay organized and purchasing becomes transparent right from the start. Requisitions are listed on a central dashboard and assigned a unique number, thereby decreasing the number of emails sent back and forth. BusinessBid’s collaborative, cloud-based platform makes it a breeze to create an RFx - complete with questionnaires and pricing sheets. The user-friendly interface enables companies to streamline supplier selection, evaluate bidding data, and make more informed purchasing decisions, faster. Employ an eSouricing tool that you, your team and your suppliers will actually enjoy using. BusinessBid’s eAuction tool helps companies benefit from the cost-savings of reverse auctions while maintaining strong supplier relationships. Buyers can clearly define specifications and undertake due diligence on suppliers by asking them to complete a questionnaire. eAuctions are an effective way to maximize savings, in fact companies save an average of 15-20% on their purchasing. BusinessBid simplifies the negotiation process by using eSourcing tools that streamline the process of negotiating with multiple parties in a short period of time, with users typically saving 30% in time and 15% to 20% in costs compared to using email and spreadsheets. The process of procurement traditionally involves using emails and spreadsheets to organize information. Doing so carries the risk of loss of data and challenges for accessibility. Using BusinessBid will mean access to a centralized platform with easy access to information. BusinessBid’s Supplier Relationship Management (SRM) puts all supplier information at your fingertips. It helps buyers organize supplier relationships on one page. Get reminders for meetings, contracts, expiring certificates or any other tasks you have been assigned to complete. 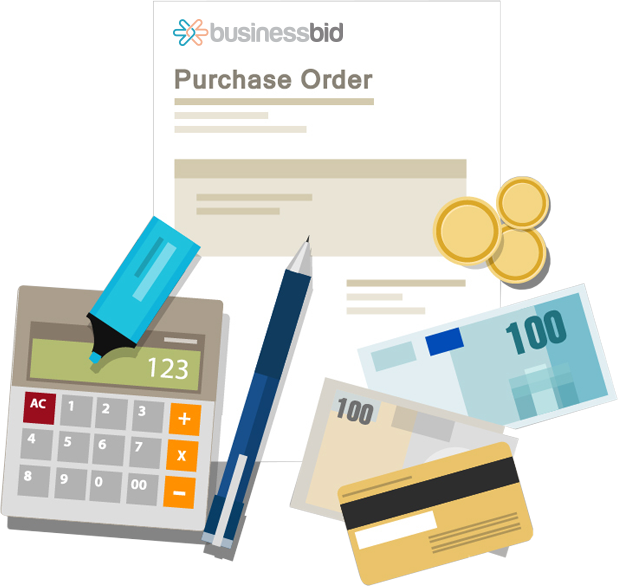 Companies save an average of 17% when sourcing using BusinessBid’s reverse auction tool. Reduce maverick spending by sourcing through BusinessBid and bring more spend under management. A transparent e-sourcing process improves relationships with all stakeholders and provides auditability. Compared to using emails, sourcing through BusinessBid saves over 30% in time and helps stay organized.